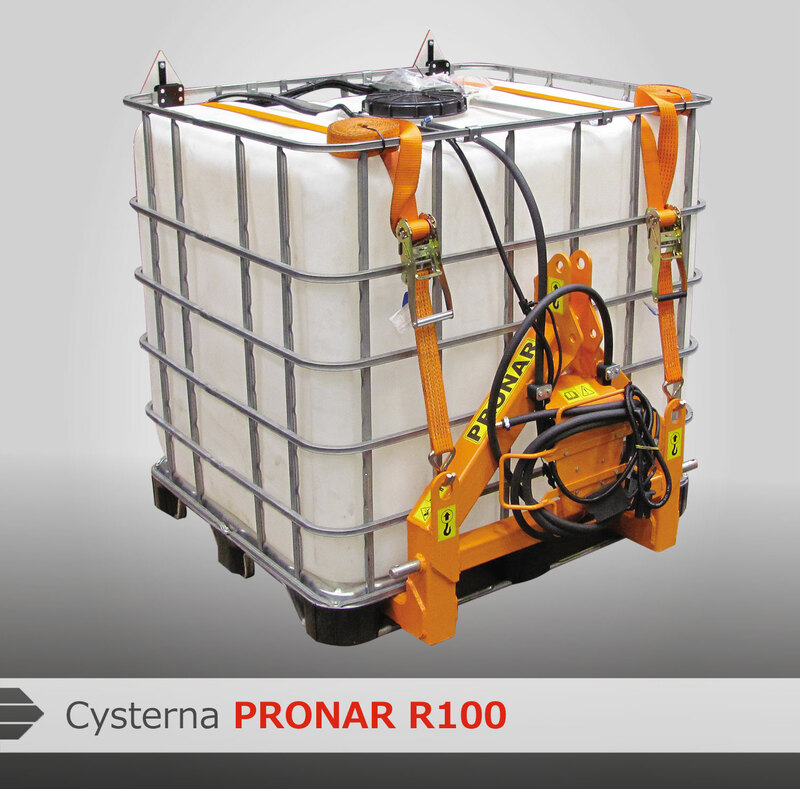 PRONAR R1000 tank - Pronar Sp. z o.o. The versatile, voluminous and durable. 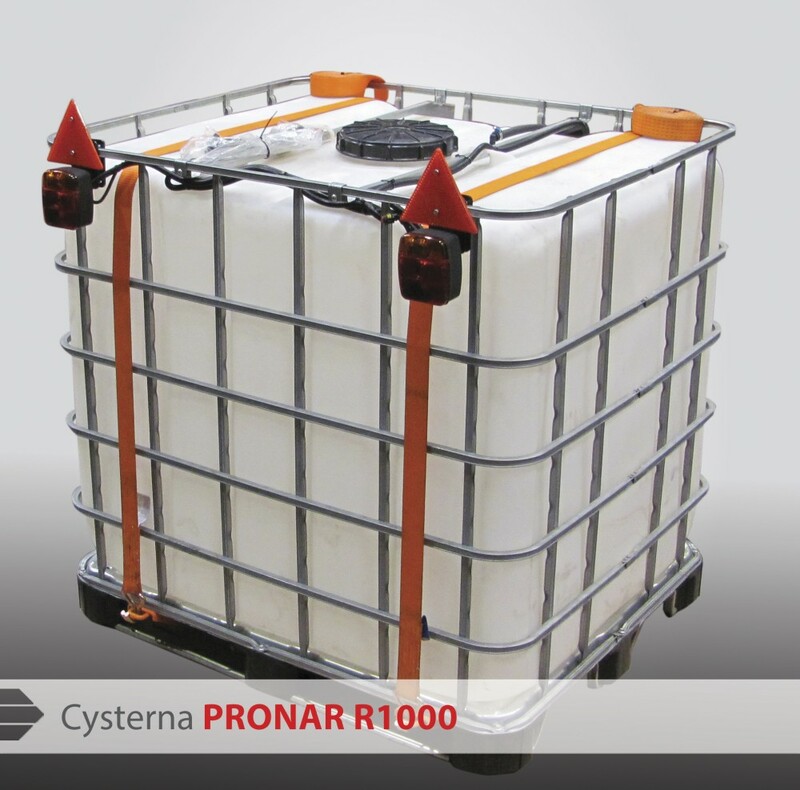 PRONAR R1000 tank serves as a reservoir of clean water to power municipal equipment (eg. sign washing head GM500), as an additional reservoir for machines involving spraying (eg. ZM-series sweepers), or as a reservoir for watering plants in urban areas. It is designed to aggregate the front or rear 3-point linkage. The possibility of aggregation with tractor or trasnporting on a trailer. 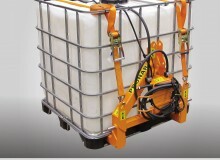 Lightweight frame for mounting the tank with a capacity of 1000 l.
Use: Trees and shrub irrigation. 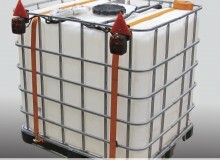 Irreplaceble in orchards and urban areas.Tank filled up from hydrant, equipped with service manhole and valves Can be placed on a trailer or truck’s frame. Equipped in electrical water pump.